We’re so excited to present to you our first giveaway for 2019. 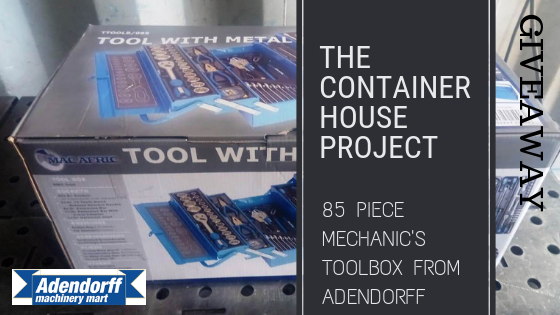 It’s something very special made by Louis himself for our followers of the Container House Project. You’re going to love this prize! We have the best time running these giveaways, so why don’t you join in the fun and enter? 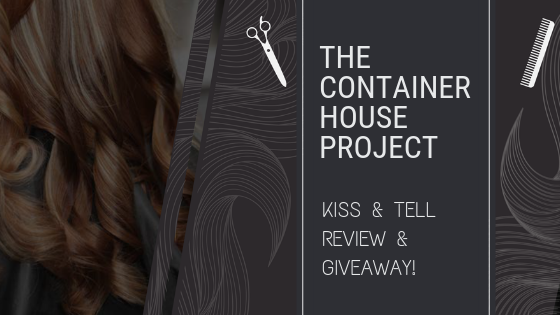 Chantelle of Kiss & Tell Hair Studio is helping us with our Container House Project by offering you, our readers, a chance to win a voucher for her amazing Hair Studio! So, I had better tell you a bit about Kiss & Tell. 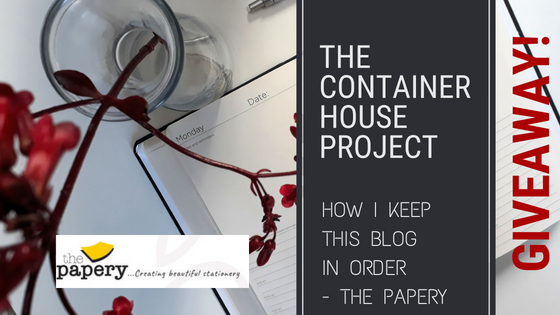 In July I came to the conclusion that a diary would be a huge help in keeping this blog in order. July really isn’t the time of year to be looking for a diary but unbelievably I found something. With that in mind, I would like to introduce you to the Multiplanner from The Papery. The Papery have also sponsored us something special to run as a giveaway, so read on to find out the juicy details. You may have noticed our new blog-bot appearing on some of our recent posts. His first appearance was on the post about the anvil repair. Here’s your chance to meet this little character and help us come up with a name. 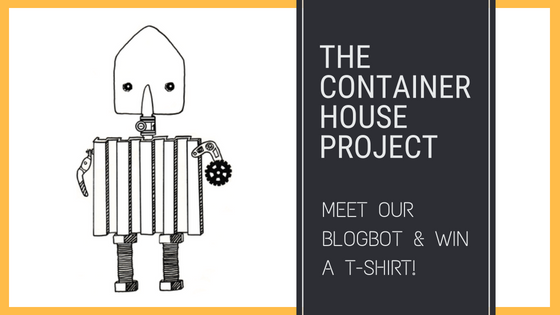 We’re also giving away a Container House Project T-shirt! We are so excited to be working with Green Planet Laundry for this post’s Green Planet Laundry Review & Giveaway. You’ll find the link for the giveaway at the end of this article. Don’t forget to share the competition with your friends on social media to earn extra entries, as the more shares you send out, the higher your chances of winning. 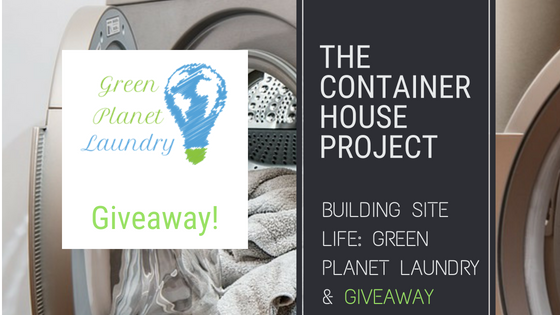 This Green Planet Laundry Giveaway is one you don’t want to miss! It’s winter in Cape Town. The weather is cold and wet. The sun goes down early so our work days cannot last too long. After a hard, cold and damp day of labour, there’s nothing better than being warm under a blanket while reading an excellent book. And so, we kick off our second giveaway – an awesome book, set in the wild continent of Africa. 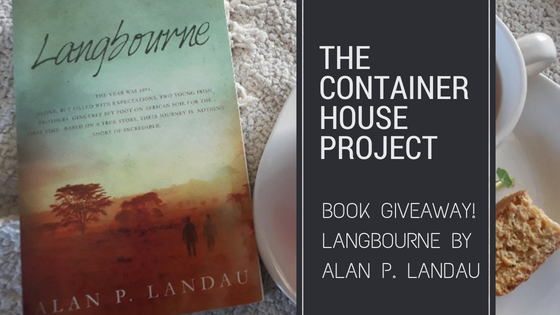 Let me introduce to you, Alan P. Landau’s Langbourne series! 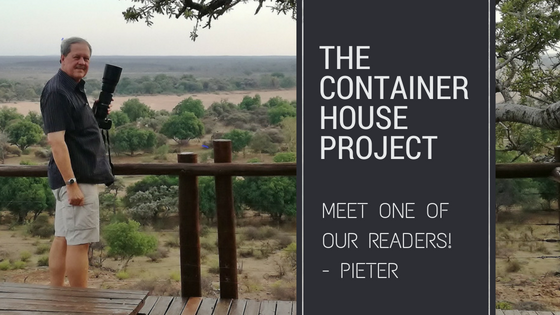 We are very curious to know who is reading our blog, so when Pieter was selected as the winner of our Wine Giveaway we asked if he would mind us sharing a few pieces of information about himself to share with you, our other readers. Here’s your chance to meet another reader of this blog! 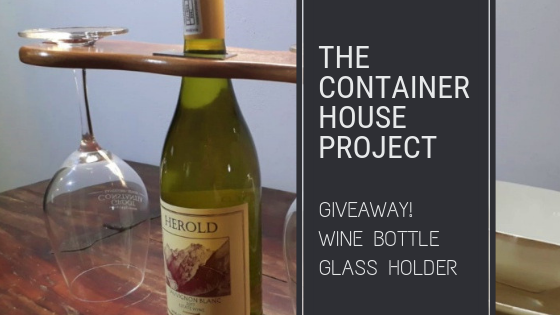 Why is a blog about the building of a house using alternate materials running a wine giveaway? It is quite simple. Since we took possession of the property and began working on the project, we have had no time to celebrate this fine turn of events. We are now property owners and that’s huge! A great way to celebrate is by enjoying a good meal accompanied by a great bottle of wine, along with some close family and/or friends. 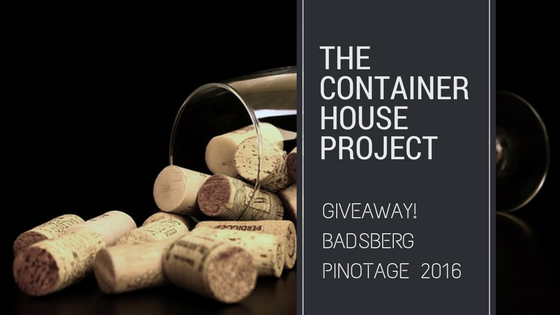 We are therefore looking for someone who wants to celebrate with us and have set aside a gift for one of our readers; an awesome bottle of wine from one of our favourite Western Cape wine farms – Badsberg! Hence, the wine giveaway.